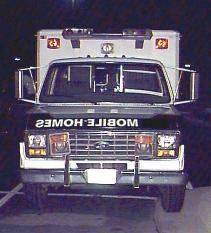 You know you're trailer trash when your service truck is an ambulance! The picture of this Mercedes-Benz 4X4 was not taken in a trailer park, but I'm sure if this car and it's lucky owner were in a trailer park, they would fit right in. We have lift off! 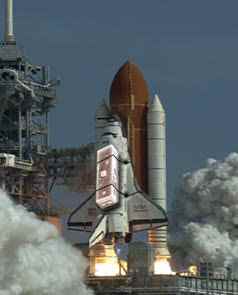 The space shuttle Discovery, once again on the way with its payload, a new addition to the international space station.